As people, we invest so much energy disclosing to ourselves that we’re not good enough and questioning ourselves in a number of ways. We believe that we don’t deserve the things we need to create the life of our dreams. These false beliefs stop us in our tracks. All those gifts and talents we’ve been blessed with sit on the shelf collecting dust waiting for us to use them. Let’s face it; most of us talk nicer to other people than we do to ourselves. How do you stop the negative self talk, the kind of talk that allows you to doubt yourself and prohibits you from starting and staying on the path to success? Change your mindset. KNOW and UNDERSTAND how special you are. What you have to always remember is you have strengths and divine talents. You are “One of a Kind” and I mean that…YOU are truly ONE of a KIND! There is no other person walking the face of this earth that thinks exactly like you, looks exactly you, has experienced things in the exact same way, and has your same finger print, heart print or soul print. When you begin to sincerely believe how special you are it makes it easier to fight the negative self talk. Change your associations. Realize your negative self talk comes from your environment; past, current and future. You didn’t just accidently wake up one day thinking bad things about yourself. You’re thinking negative thoughts about yourself because someone, somewhere in your life has told you negative things about you and whether you accept it or not, you believed them. If you surround yourself with the wrong people, they’re going to tell you negative, untrue things about you which in turn will make you begin to doubt yourself and start the roller coaster ride. When you surround yourself with the right people, they will build you up, encourage you, inspire you and enhanced who you are as a person. You will actually feel better, happier, and empowered when you leave their presence. You’ll start to believe the great things they tell you. Change your dialogue. Decide today that you are no longer going to allow yourself to beat yourself up with your negative self talk. Write positive affirmations to combat the negative, untrue thoughts you’re having. Read and say all the wonderful things about yourself at least 5 times per day. Look at yourself in the mirror and say, “I AM AMAZING!” Think you are amazing! Say you are amazing and pretty soon, whether you like it or not, you’re going to start believing YOU ARE AMAZING! And here is one thing I know for certain, YOU ARE AMAZING! Be honest with yourself, you can’t do anything about what you don’t acknowledge. Ask yourself this question, “What thoughts am I having that are holding me back? Understand and believe you can never outperform your thoughts. What this means is that if you are not receiving the results you want in your life, the first thing you need to do is to examine your thoughts. When we want different results, it seems logical to change our actions first. But, what happens when all we do is change actions, over time, we will default right back to what we think. It’s this cycle of behavior that keeps us from reaching new results. If you want different results, you must change the way you think first. Sounds easy, but it’s not. The first thing you have to become aware of is the root of the issue. Now that you know what the real issue is, you must seek out the “right” people to help you change your thoughts. I’m not going to lie to you; it takes time. All REAL change takes time, commitment and consistency but it is so worth it and YOU are so worth it! Identify and figure out what the problem is. Challenge negative thoughts with more positive ones. Practice to think positively in every situation. This won’t change overnight, but overtime positive thoughts will become your practice and automatic. Read 10 pages of a great book everyday. 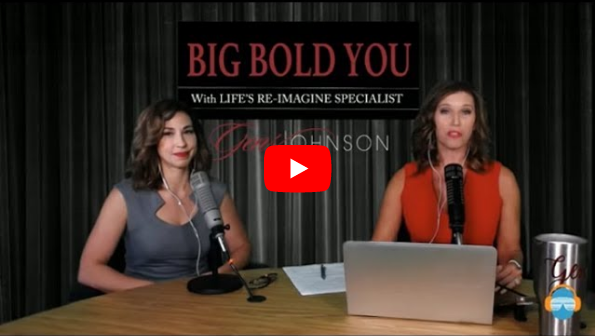 If you are struggling with Negative self talks Contact Gens Johnson, Transformational Leader and Life Coach https://gensjohnson.com/contact/.